Preparing for Russia and China! 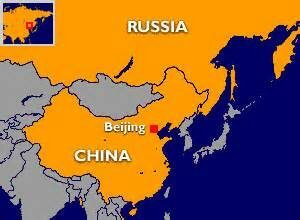 So, what is the deal with China/ Russia relations lately. It seems like we are telling multiple stories about these nations. Are we on the doorstep of war with Russia over the hacking and the Syria business or is Putin happy about our new leadership. 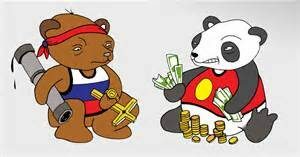 Russia is a powerful country in some senses but also pretty tired and weak economically. We have hurt them in the past with basic sanctions and the same is possible as they heighten the possibility of action with Europe. Is China our boss. Why are we not allowed to talk to another sovereign nation like Taiwan? They also captured one of our drones and wont give it back. They are building their own islands and threatening Japan. What does all this mean to America. More importantly what does it mean to you. China has 1 billion pawns to wage war with. They also must keep them fed! The rise of the dollar is already starting to hurt their economy. How much of a threat are we dealing with? What does recent news mean? How prepared are you for war? The growth of our American Military. On this final episode of I AM Liberty before the new year I hope to end it discussing some important topics. I want to take an objective look at the world and what happening therein. What steps should you be taking to prepare for certain possibilities? We also have a new challenge for the listeners. On January first we will be starting the 30 day Batman bodyweight challenge. It is basically a physical challenge of increased amounts of calisthenics over the 31 days in January. This will be no easy feat but I can guarantee you it will start your new year off right. Don’t miss this exciting episode of the I AM Liberty Show. Listen to this broadcast or download “Preparing for Russia and China” in player below!